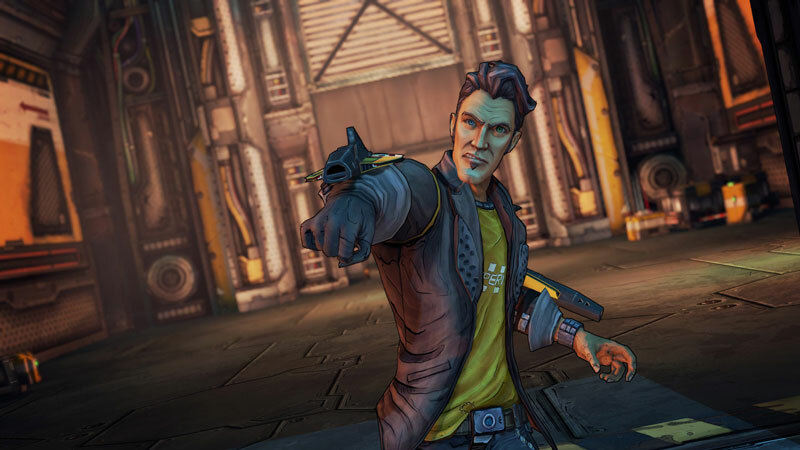 Borderlands fans have much to look forward to this month — at this past weekend’s PAX East 2015 alone Gearbox announced the release of the next chapter of its Telltale Games collaboration: Tales from the Borderlands. The game is like a crazy crossover between Borderlands and Dance Central Spotlight sporting the studio’s upcoming HD re-release package, Borderlands: The Handsome Collection. Named after the charmingly-handsome villain of Borderlands 2, Handsome Jack, the collection will provide players on PS4 and Xbox One with remastered re-releases of Borderlands 2, Borderlands: The Pre-Sequel!, and a boatload of each titles’ DLC content; specifically upcoming DLC for The Pre-Sequel! as it releases in the coming months. During PAX, we had the opportunity to attend a special off-site event hosted by developer Gearbox Software, with some exclusive hands-on time with the upcoming collection prior to a public event/party to play the title later on in the evening. Surrounded by a big projector screen showing trailers for the game, a fight ring between animatronic Claptraps, refreshments adorned with Claptrap cozies, and a life-size statue of Handsome Jack himself watching over, the event was a Borderlands fan’s dream. The main attraction of course, was actually getting time with The Handsome Collection, and there were several stations set up for the PS4 version. 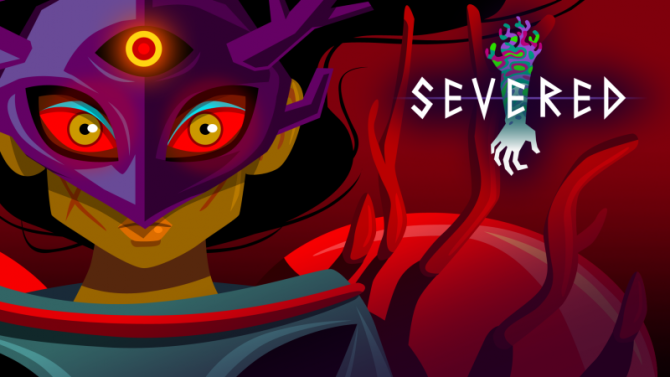 With two stations set up on debugged PS4 units, we had the chance to try out small segments of both titles included in the collection for local four-player co-op action, giving a good idea of what to expect from its release in a few weeks. With high-leveled characters, lots of skill points to play around with, and a large swath of weapons to experiment with, the event had quite the variety in such a short amount of time, showing what the game has to offer to both players new to the universe and (more likely) to those that have played the previous games and are looking to jump back in on new consoles. 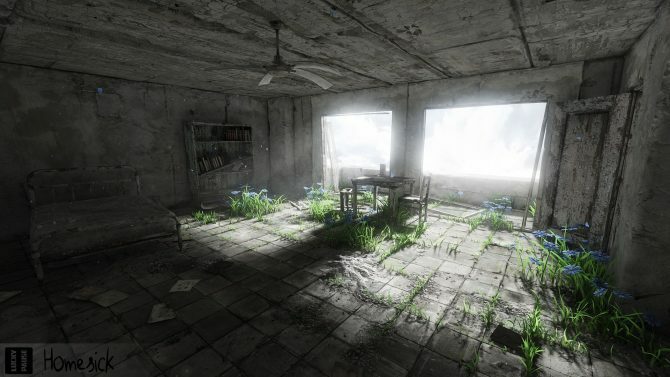 As The Handsome Collection sports two significant features over each title’s previous incarnations (such as remastered 1080p visuals and four-player local co-op) the experience of playing both titles should be pretty much identical — gameplay and content-wise, they are the same as before. But mileage may vary when it comes to both of these highly-touted features in the collection, as the final title will retain 1080p but drop the framerate to 30 FPS in multiplayer (compared to 60 FPS that will be present in the single-player components). The game’s local four-player co-op is a refreshingly welcome change of pace compared to the previous generation’s two-player local co-op, though so far there are (as we’ve seen) some performance issues and compromise in The Pre-Sequel! that may make the experience more of a chore than a fun blast-fest — multiplayer run dropping well below 30 FPS at several points. 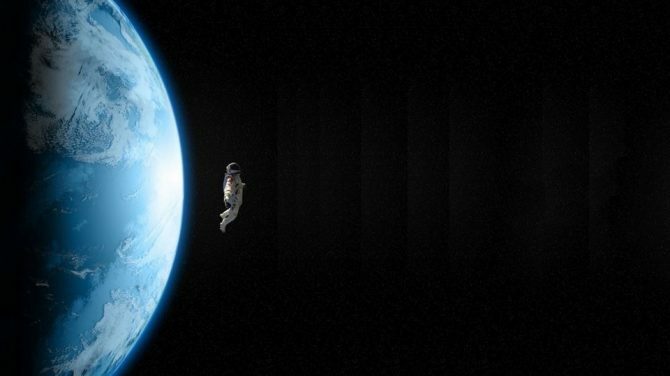 While The Pre-Sequel! contained major frame rate issues when playing in four-player co-op, switching over to Borderlands 2 provided an entirely different experience, with vastly-improved performance and a rocksteady 30 FPS (at some points, even higher) making the action slick and responsive. The gameplay differences between both preview builds of each title were night and day but content-wise fans of Borderlands 2 should know what to expect with all of the game’s DLC content present. In particular, our demo group did a run through segments of the game’s Tiny Tina’s Assault on Dragon’s Keep DLC, leading to some tense encounters and boss fights that made full use of the co-op. On the visual front, The Handsome Collection is set to light up displays and TVs with its incredibly vibrant colors and art once more, but this time with more HD polish and rigor. Under the circumstances we demoed the game in, it’s difficult to see the full extent of how far the HD remaster goes to each title — playing in four-player split-screen is not ideal when viewing only a portion of a full HD display at a time. Although the art of Borderlands in general, with its thick lines and almost comic-esque visuals, does not exactly lend itself to the same degrees of visual upgrades that more recent remasters like The Last of Us Remastered and Grand Theft Auto V provided, this title still makes for a “handsome” display in HD, thanks to its pronounced colors and a few noticeable enhancements, such as improved effects when it comes to flame, ice, and more. 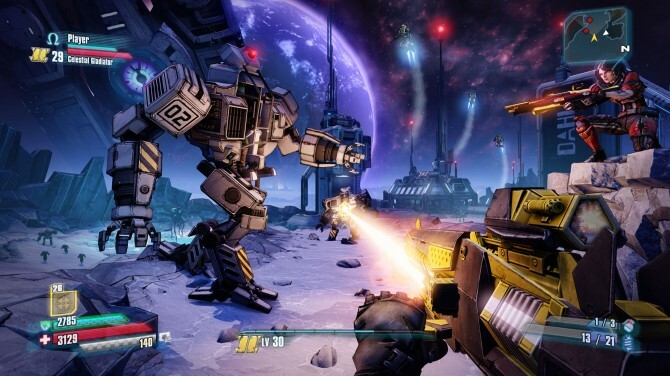 In a time when online multiplayer has become the norm and local co-op focused multiplayer is in increasingly-rare supply, the focus on the nearly lost feature in Borderlands: The Handsome Collection is an admirable consideration by Gearbox Software in bringing one of its marquee franchises to the current generation of consoles. Based on our current experience with the title at the preview event, it’s hard to say just where the collection’s biggest new features — its upgraded visuals and four-player co-op — are going to land. 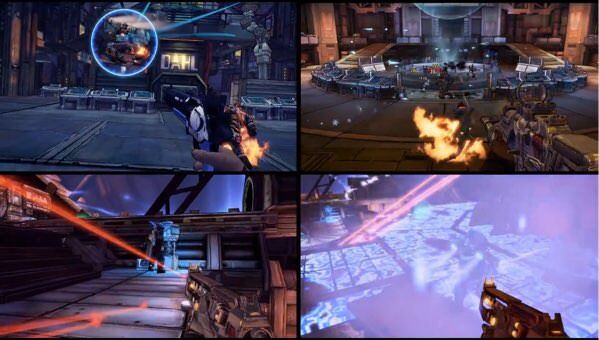 With some significant frame rate issues in The Pre-Sequel! and spotty performance, it’s difficult to see whether the collection will make its promise of providing a truly “handsome” collection. 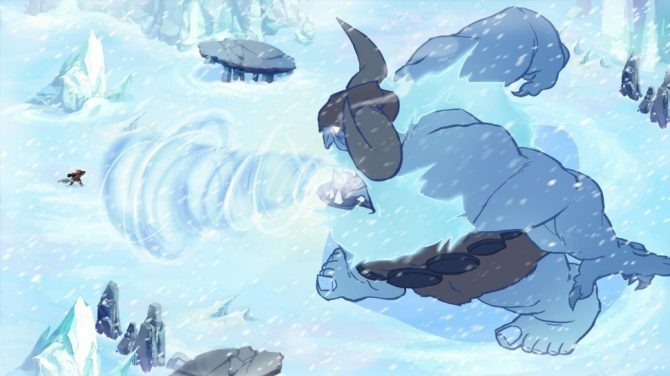 One caveat from the team at Gearbox at the event was that the preview builds were several weeks old; this is purely up to polish at this point and with a few weeks still left to go until release, it’s certainly possible that frame rate optimization is still underway and that by release, it’s going to be the wild Pandorian ride that fans will expect from the franchise. Performance issues aside, The Handsome Collection is still set to be back — with dozens of hours of content to explore, loot to find, and tons of Claptrap jokes to endure, grabbing three other friends on a trip to Pandora is still bound to be a wild ride. 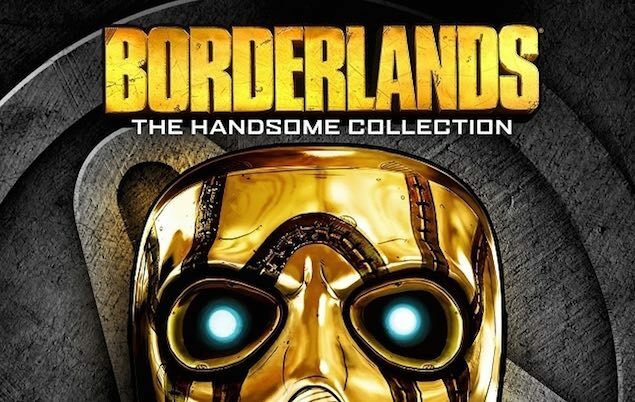 Borderlands: The Handsome Collection will release for PS4 and Xbox One on March 24th, 2015.